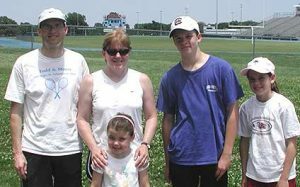 In 2006, my family visited Phil Campbell, M.S., M.A., FACHE, ACSM-CPT, for speed training in Jackson, Tennessee. My wife and I were surprised to learn that we were expected to take the training along with our kids. We were amazed at the improvement between our “before” and “after” times using Phil’s techniques and that we did not pull any muscles! In addition, our kids learned some basic speed techniques that served them well throughout their athletic careers. Phil is now a client of Sadler Sports Insurance under our individual sports instructors program which provides General Liability / Professional Liability coverage. For decades, the medical and fitness community touted slow and boring cardio. However, cardio has not proved to be beneficial for most adults when it comes to fat loss. But Phil was one of the first to promote his version of high intensity sprint interval training (Sprint 8) with the release of natural human growth hormone (HGH) and the associated health benefits, including fat burning. 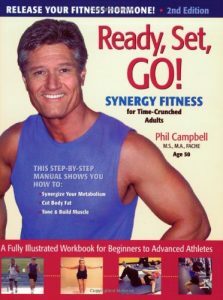 In his book Ready, Set, GO!, SYNERGY FITNESS for Time-Crunched Adults Phil explains the science behind his claims, including documentation of the scientific tests. The original version was published in 2001 with the second edition released in 2006. The book also introduced step-by-step instructions on his Sprint 8 workout. Phil’s techniques have been publicized in Oprah’s O magazine,The Los Angeles Times,Outside Magazine, and Personal Fitness Professional as the fastest and most beneficial workout for busy adults. Slow cardio was king for decades with its benefits being recommended by the American Heart Association and most health care professionals. But it has proven to not be an effective fat reducer and the workouts require a time commitment of at least 40 minutes. HIIT workouts (high intensity interval training), which went mainstream about five years ago, exposed slow cardio and proved to be a more effective alternative. But high intensity sprint interval workouts are even more effective than HIIT. The Sprint intervals, which can be completed in about 20 minutes with only 4 minutes dedicated to high intensity sprint, are much more intense and tests show that they release a greater amount of HGH. Phil’s latest book, Sprint 8 Cardio Protocol, outlines how to implement sprint training on the track, in a pool, on a recumbent bicycle, and on an elliptical for maximum health benefits. It also provides a detailed scientific explanation of the changes that occur within the body during a high intensity Sprint 8 workout.